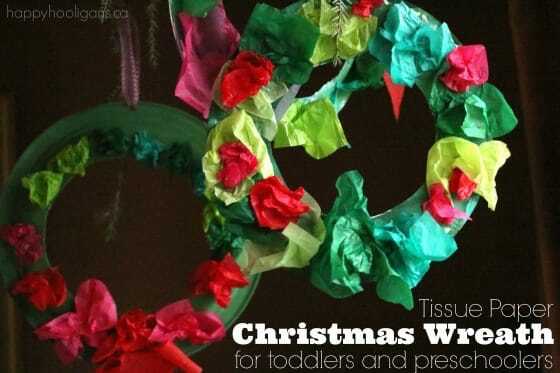 This tissue paper Christmas wreath is a great Christmas craft for toddlers and preschoolers. 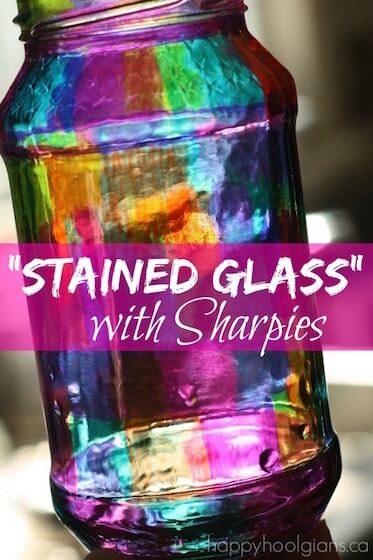 It’s quick and easy to make, it’s inexpensive, and it will look sweet hanging on a door or in a window of your home. The prep couldn’t be any easier either. 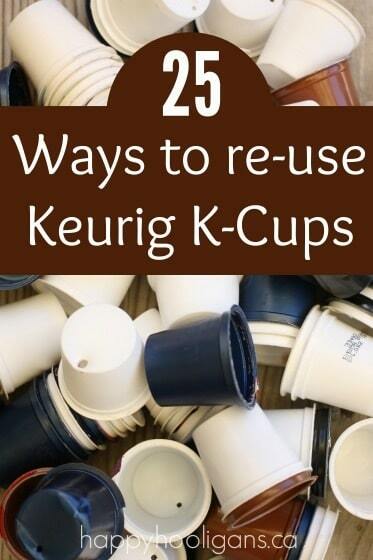 As long as you have paper plates and tissue paper on hand, you’re good to go! 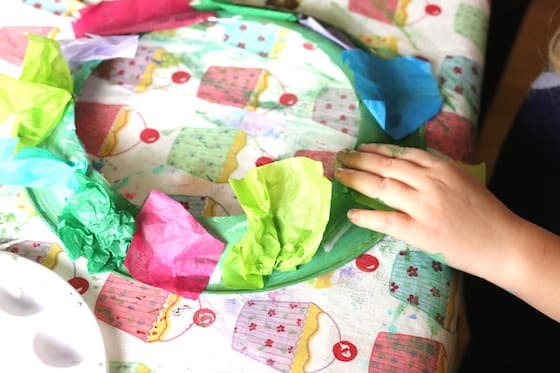 The hooligans had fun going through our stash of tissue paper, and choosing lots of different shades of green for their wreaths, as well as some other colours to make the “berries” that they would dot their wreaths with. 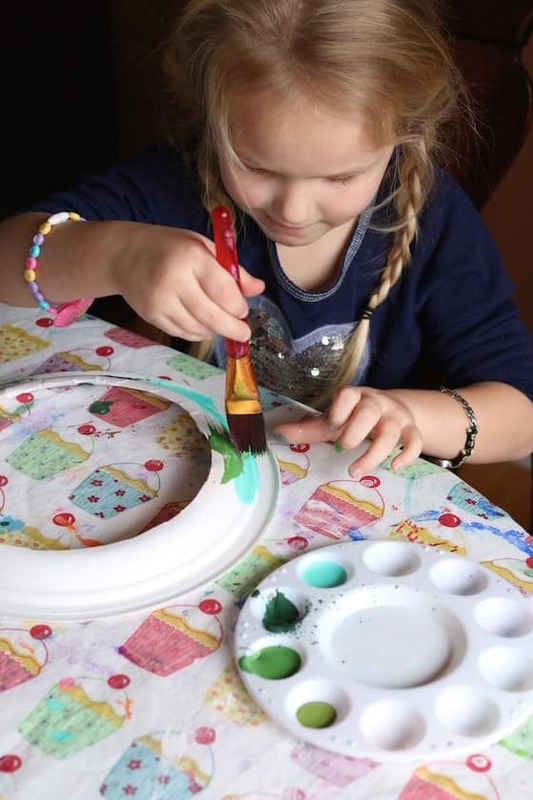 We used several shades of green paint for the base of our wreath because kids LOVE blending and mixing paint colours even if they are all from the same colour family. 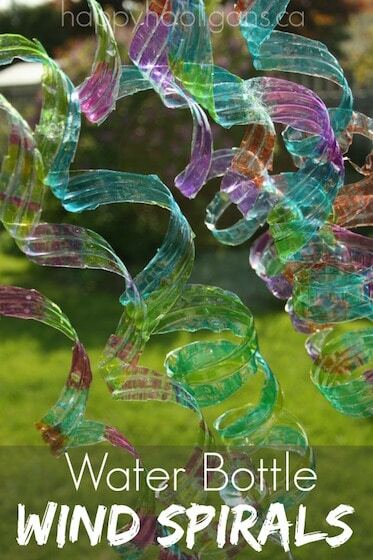 Let me show you how we made our wreaths. 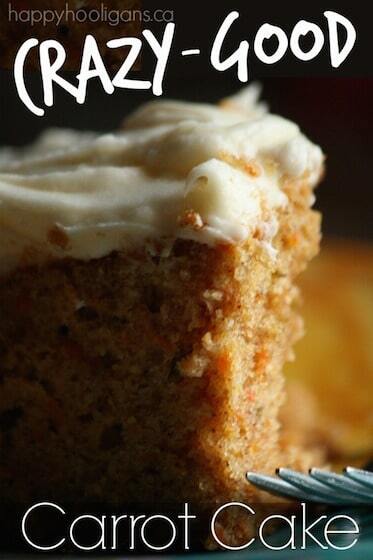 Begin by cutting the centre out of a paper plate. 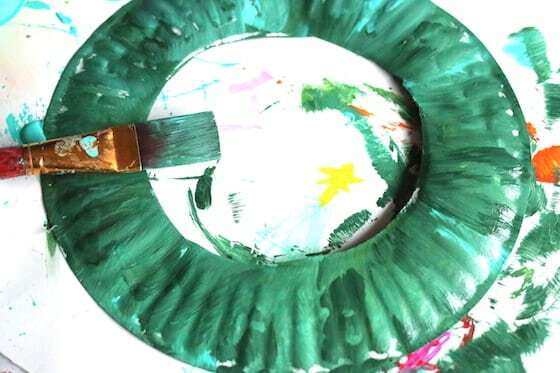 Have the children paint the backside of the plate with various shades of green paint. The reason we painted the backside was to get a concave that curved out and downward instead of in and upward. 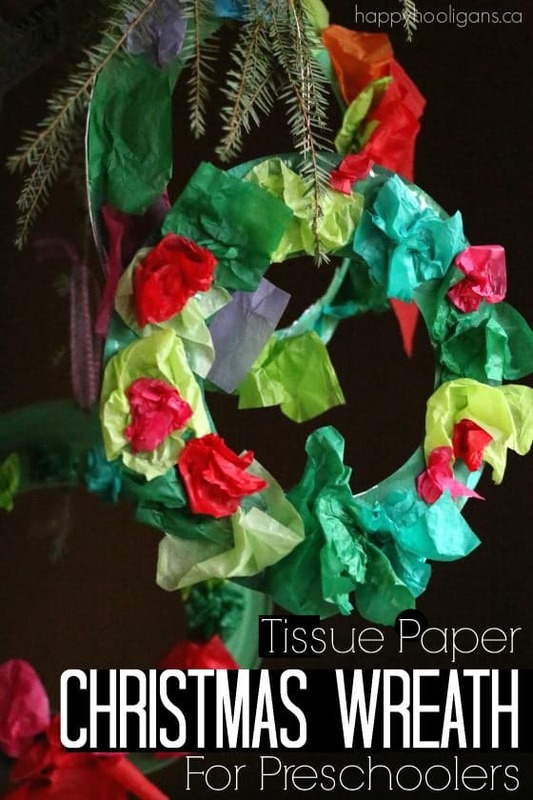 While your kids are painting their paper plates, you can cut some tissue paper into small squares. I usually go with 3 x 3 inch squares. 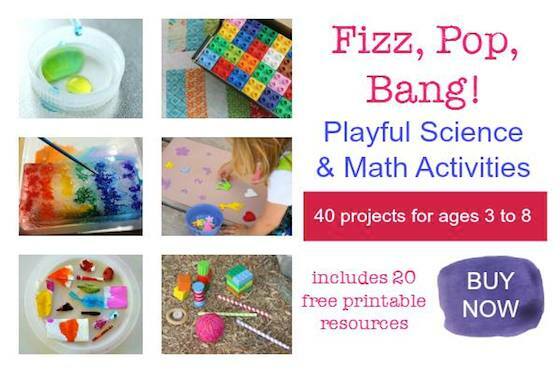 They don’t have to be perfect because the kids are going to crunch them a bit. 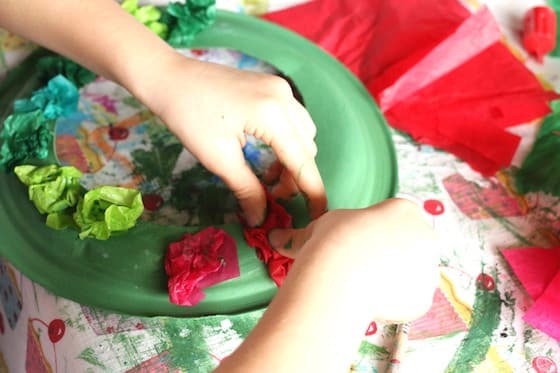 When the plates are dry, have your children gently scrunch the tissue paper squares, and glue them all over their wreath. They can fill their wreath in as much or as little as they like, with a mix of green (holly leaves) and colour (berries). 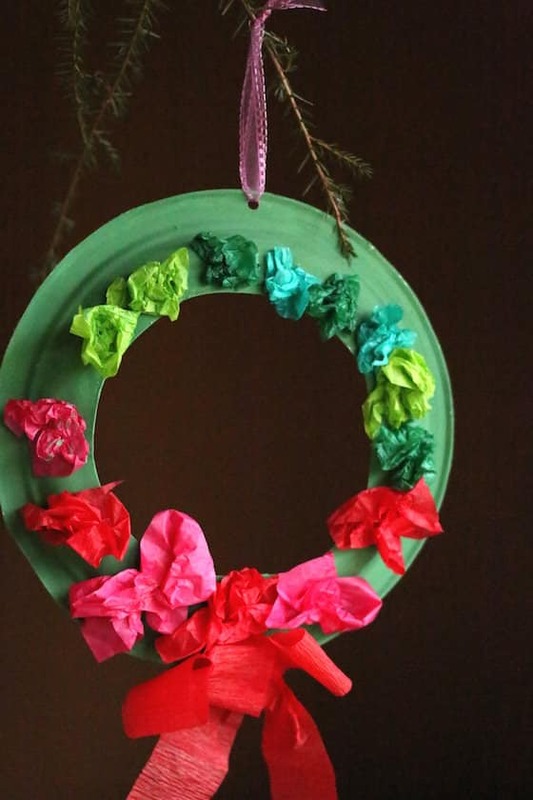 When they’re happy with the way their wreath looks, they can staple a red bow to their paper plate. 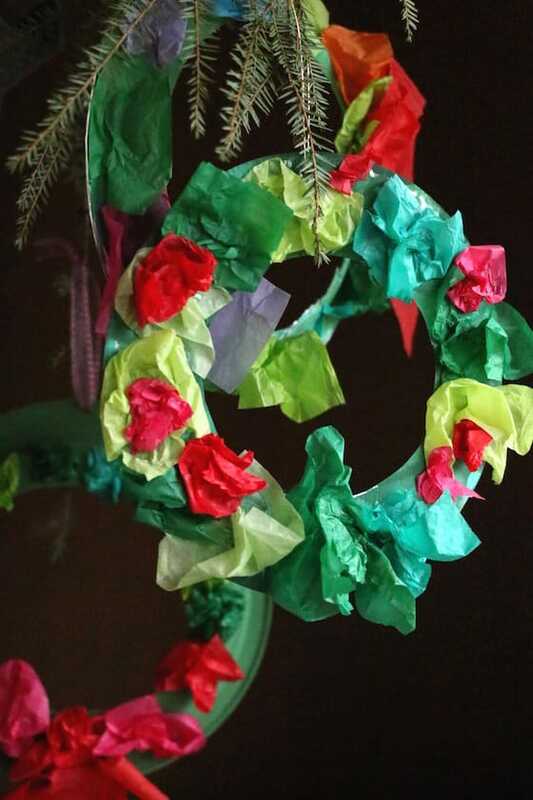 We used crepe paper to make ours, but you could use ribbon, raffia or even an actual Christmas bow. Don’t these wreaths look festive? Time to find the perfect place to hang them! 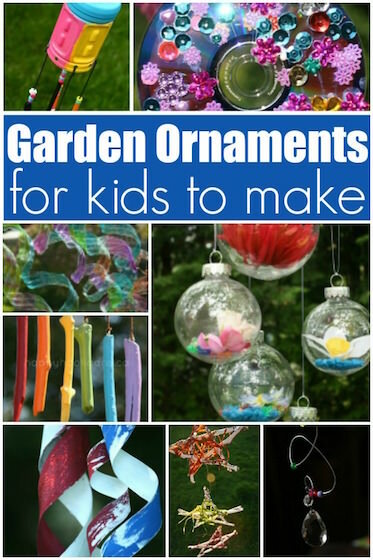 Previous Post: « Tin Foil Tissue Paper Ornaments – So Easy, So Pretty!